Your child is at the age where she’s eager to take on new challenges and learn new skills. Four-, five-, six-, seven- and eight-year-olds are ready to lead musical activities with their peers. They want to dig deeper and understand how music works. That's what our music classes for big kids are all about. Our Music Together® classes for four through eight-year-olds create a musical environment where your big kid can thrive. 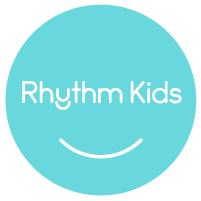 Challenging and fun music activities complement your child’s elementary school music curriculum or individual music lessons. Plus, your son or daughter will build life skills such as leadership, decision-making, and teamwork. 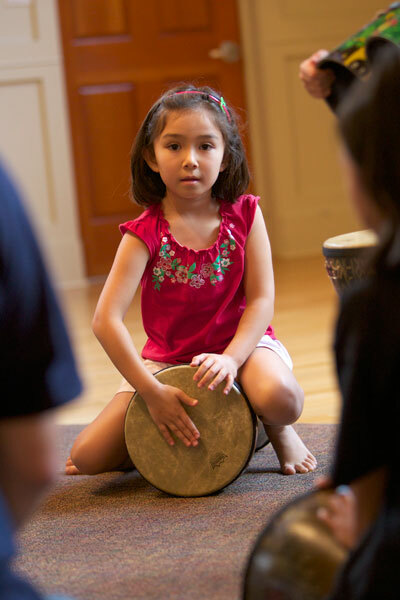 Through class activities like drumming, game songs, improvisation, composition, and conducting, your big kid will be well on his way to a lifetime of joyful music-making. Sign up to visit a class on our Demo Scheduler.